A new website itsourfuture.org.nz has been launched for Kiwis concerned about the Trans-Pacific Partnership Agreement (TPPA), an international free trade and investment treaty being negotiated between New Zealand and ten other Asian and Pacific-rim countries, including the United States. The negotiations on the agreement are being held behind closed doors. The draft texts remain secret, with no opportunity for public oversight. 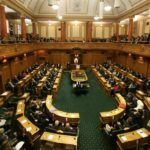 itsourfuture.org.nz aims to help remedy the government’s failure to provide information about the TPPA to New Zealanders. The information has been sourced from leaked documents and the detective work of committed researchers. Information is the basis of democracy. It is completely unacceptable that important decisions about the future of New Zealand are being made behind the backs of kiwis whose lives it will impact upon. 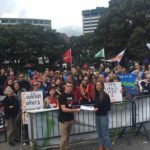 itsourfuture.org.nz provides news, resources, and a forum for engagement around the TPPA for New Zealanders. “A trade agreement that would subject our own government to the risk of being over-ruled by a secretive international body places our people’s health at risk and a new burden on our stretched health budget.” – Warren Lindberg, Public Health Association chief executive. “A TPPA could give transnational companies the right to sue future governments if they legislated to reduce greenhouse gas emissions or restrict the use of Genetic Engineering technology. It would give away the freedom of our children and grandchildren to determine their own future. Please help us stop it.” – Jeanette Fitzsimmons, former Green Party co-leader. “First they came for the car plants, then they came for the clothing and textile sector jobs but the country was silent. Now they are coming for our affordable medicines, our land, our environment, our work rights, the rest of our economy, our sovereignty. We can remain silent no longer.” – Robert Reid, General Secretary of FIRST union. 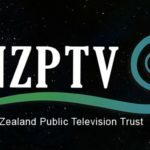 “We expect that the proposed TPPA has serious negative consequences for the expression of our culture both in literature and more broadly, our intellectual property protections. That unique culture must not be sacrificed for illusory or minor economic advantages.” – Tony Simpson, President of the New Zealand Society of Authors. … as well as to te Tiriti o Waitangi, Internet Freedom, Financial Regulation and more. The next round of TPPA negotiations is taking place in Auckland between 3 and 12 December. It’s Our Future will be organising several activities leading up to and during the negotiations. For more information go to http://itsourfuture.org.nz or www.facebook.com/ItsOurFutureNZ. Is the Labour Party a broad church?